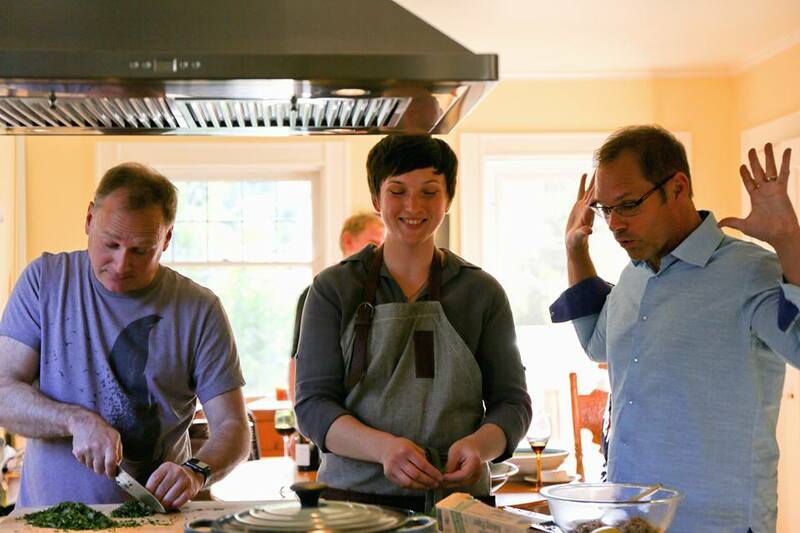 hosting a party can be stressful but with the help of a chef, you get to enjoy the event too! private dinners & event catering: different from most catering businesses, my menus are entirely customized and all cooking/plating is done on location - so guests get to enjoy the "show" and interact with the chef as i walk them through the menu and explain each course. my menus are plant-based and cover a broad range of cuisine types. i am happy to provide a crowd-pleasing meat entree if the host prefers, but my specialty and expansive repertoire is in creative vegetarian and vegan cuisine that will satisfy even your meat-loving guests! i offer services for parties of 6-80 guests and require access to a full kitchen. 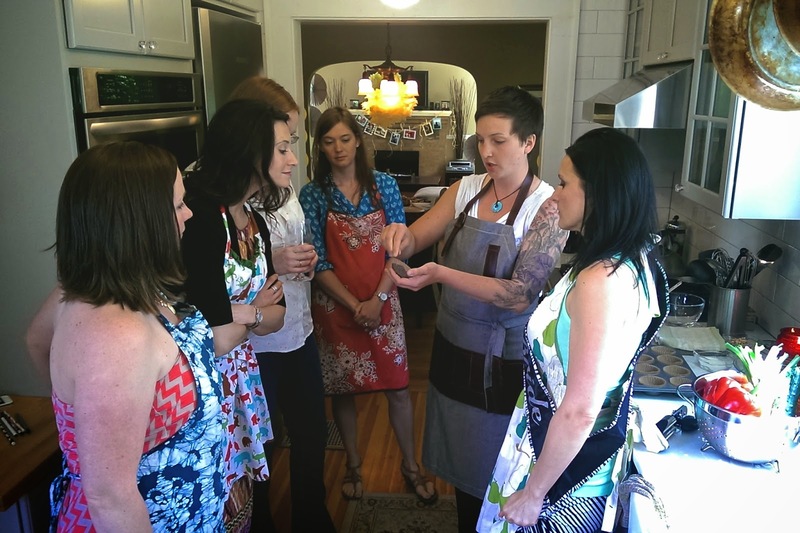 group cooking lessons: gathering a group of friends to participate in the making of a special meal is a great way to celebrate any occasion! 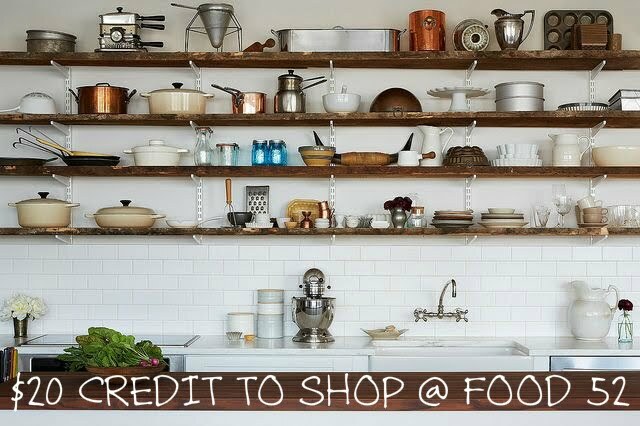 we'll design an exciting menu, prepare and enjoy it together and take away delicious recipes to recreate again and again! lessons are done from the host's private home - so group size just depends on what feels comfortable in your kitchen and dining space. recurring private lessons: i work one-on-one with individuals (or couples) who have the desire to invest more time and energy into preparing healthful meals for themselves. this process usually starts with assessing the kitchen & pantry, discussing how to select high quality produce, organizing bulk goods, etc. once you're set up with a well stocked pantry and an efficient kitchen, we'll work together to prepare a week's worth of meals together. my goal is to help students learn to cook intuitively, expand their repertoire each week and gain confidence with various methods and skills.